Improving your scores in golf is as simple as making some changes to your swing techniques and how you approach your shots. You need to be smart in how you make decision on how to tackle a hole. You can do an assortment of things to improve your score, but how you do it will be the main factor to take notice. One thing you don’t want is to get caught up in trying to make something work for you just because it helped another player. You need to determine how to make your strengths work for you and how to make changes efficiently to your game. Here are 5 steps you can take to improve your score in golf. Define your strengths and see how you can make them work for you. You need to be honest about what you do well and where you need improvement. Think about games you have played in the past. 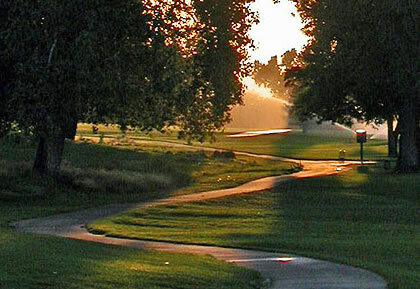 Where are some of your stronger points on the course? What areas have you missed that could desperately use some improvement? Think about how many strokes it takes for you to complete a hole. Have a journal to record your thoughts. Review your mistakes and take notes on how they can be improved. For instance you may notice how many strokes it took for you to complete a hole. What could you have done to complete the hole without giving so many strokes? Think about mistakes that occurred and why. Doing this can help you see your score potential. Take some practice shots on the fairway. As you do this focus on the number of strokes versus distance. When you do this you should consider making shots off the tee but concentrate on strokes. This will help you practice your moves and develop a way of making smooth shots onto the fairway. You need to know golf techniques well and think about them while playing your shots. Golf is different from action sports and it requires more thinking and mental tactics. You should know what is necessary to execute a winning shot or at least practice required skill to get the desired result. Get more practice with putting shots. You should practice this element as much as you can. Many golf matches are lost and won due to this element. You should work on short putts, lag putts and breaks.